Dr. Paul Jarrod Frank is the well-dressed Founder and Director of the PFRANKMD brand. Unlike many such centers that focus primarily on a female client base, he has developed a client base that is almost 50% male and has a deep knowledge of the aesthetic concerns that drive men to seek treatments. I asked him about his own background as well as the types of cosmetic treatments he's seeing men come in for. How did you first get interested in dermatology? ​I always wanted to become a doctor, but my mother who was a nurse pushed for dermatology. She felt that people ignore physical complaints to avoid the regular doctor but always run to the dermatologist if something showed up on their skin they could see. Plus she never saw dermatologists in the hospital. When she did, they were the most rested and best dressed. What's one new change coming to dermatology that you're really excited about? I do believe we are on the precipice of effectively curing thinning hair in men and women. Clearly your personal presentation is important to you, how did your personal style evolve? I typically wear a suit every day, but with no tie. I favor Dolce & Gabbana and Tom Ford because of the classic yet edgy cuts. Sometimes I will opt to go without a suit and choose a sports jacket instead. I usually wear John Varvatos on a more casual day. The essence of my practice and brand is one that is stylish, luxurious, forward thinking, and a boutique welcoming environment located in the heart of the Upper East Side. I do what I do, because I have always taken pride in my own appearance and enjoy fashion as well as being the best version of myself in mind, body, and spirit. How have your grooming rituals changed over time? ​They have gotten simpler and simpler. Less is more for me at home. But I certainly harness the minimally invasive tools that use in my office to keep me looking tidy and the best version on myself. What do you prioritize in your personal care routine? ​My personal care relies mostly on exercise, nutrition and meditation. Every day these 3 are priorities. What advice would you give to a man looking to improve his skin? Take the recommendations of someone with experience in treating men. Consistency is more important than complicated regimens. I try to recommend treatment options that require the least amount of maintenance as possible. Men tend to want more of a quick fix vs. women — when men come to see me, they want to maximize their time and treatment options. Sun Damage: Men don’t like maintenance and it’s about skin quality not wrinkles. Male skin with sun damage looks dull and tired. Men tend to get more sun damage on their foreheads instead of the beard area as shaving is a daily exfoliator. Fraxel is the most common post-summer procedure I do for men. Wrinkles and Under Eye Circles: Men also want to avoid looking tired, so fillers around the eyes are often used for volume enhancement and wrinkle relaxers, such as Botox are also popular for the forehead. I try to make things subtle and do this in varies areas. Fat Removal: With the advancements of technology and the increasing acceptability of cosmetic treatments, men are becoming a larger percentage of patients seeking cosmetic enhancements, especially for body contouring and fat removal. SculpSure is the latest and greatest noninvasive fat removal technology. Men that are fit, yet frustrated with their love handles find this treatment a perfect addition to their nutritional and workout efforts. Fast, painless, noninvasive and effective, this treatment allows men to get that quick fix that returns them to their daily activities immediately. Double Chin/Jawline: One of the most common concerns of men is their jawline. Sharp jawlines are the strongest sign of youth and vitality in a man which is why it is one of the most common complaints of men in my practice. UltraTight, a treatment I developed literally melts the fat off the patient’s chin and neck. UltraTight™ incorporates aspects of ultrasound technology and minimally invasive liposuction to tighten and lift unsightly neck skin. It works by literally melting the fat off the patient’s chin and neck, allowing me to lift and sculpt the region. The patient will be put under local anesthesia. The clay mask and the rejuvenator infusion device locks in and infuses moisture. It can be performed just a few times a week for dramatic effectiveness in skin quality. The rejuvenator uses dermal infusion technology which reads different moisture levels in the skin to help deliver what the skin needs and where. I like to use a touch of this bronzing gel 2-3 times a week to lend a natural-looking color to the skin. This is especially true in winter months when skin could look dull and gray after months of cold weather. This broad spectrum sunscreen absorbs well, and is filled with UVA and UVB sunblock. It’s also very affordable. A simple and effective way to rid of tired and puffy eyes. I keep them in the fridge and when I awake with tired eyes. 15 with the eye mask seems to work better than 8 hours sleep. A classic and effective unisex serum that is very tolerable and effective. Born and raised in Manhattan, Dr. Paul Jarrod Frank is deeply atuned to the wants and needs of New Yorkers. Cultivating a sophisticated clientele, Dr. Frank has become renowned for his expertise in minimally invasive cosmetic surgery. In 2005, Dr. Frank separated skin care's myth and magic with the launch of his own line of products for the consumer market — pfrankmd skincare. Throughout his career, Dr. Frank has lectured extensively and authored several articles pertaining to cosmetic surgery in both the professional and consumer literature. 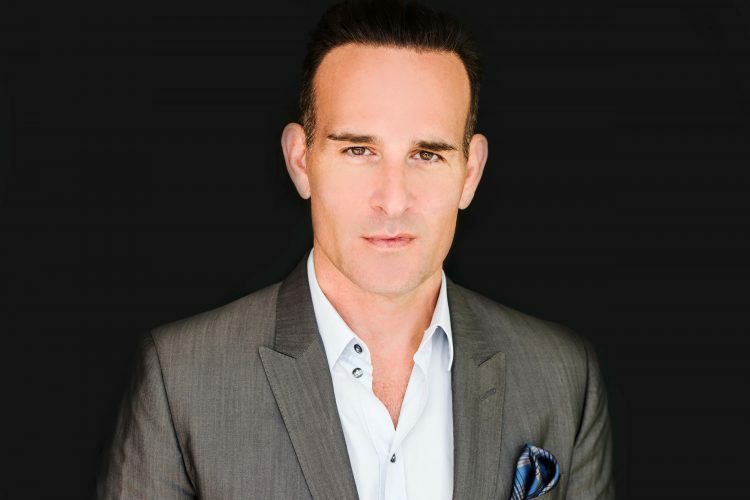 He is regularly featured in local and international media in addition to national television and fashion and beauty publications as a skin expert.